This word has become an emotional expression to use when something happens; and we feel it will alter life as we know it. Other terms such as Armageddon, the Antichrist, and even today's article title is used in oh so many colorful ways! I wonder as I am writing this if the average person really understands this word in the biblical sense. Let's see what this word actually means. The answer is very simplistic. It's astounding to me that some of the most educated people in the world stumble over it. But I am a simple person; and if I can understand it, anyone can that really wants to. Of course, I'm going to make you wait a bit for the answer. Let's start today with an opening scene in Heaven, in the book that uncovers these things and reveals them to us: Revelation. "After these things I looked, and behold, a door standing open in heaven. And the first voice which I heard was like a trumpet speaking with me, saying, 'Come up here, and I will show you things which must take place after this.' Immediately, I was in the Spirit; and behold, a throne set in heaven, and One sat on the throne. And He who sat there was like a jasper and a sardius stone in appearance; and there was a rainbow around the throne, in appearance like an emerald" (Revelation 4:1-3). Now, he sees the expanse of the heavenly realm - things and creatures he has never seen before. He identifies God the Father in the verses above as the one who sits on the throne. He also sees Jesus Christ as the Lamb of God who was slain. As a scroll is handed from God with seals upon it, a search is started with great lamenting to find someone worthy to take the scroll and open the seals. Finally, only one is found, the only one who is worthy to do this. "And I looked, and behold, in the midst of the throne and of the four living creatures, and in the midst of the elders, stood a Lamb as though it had been slain, having seven horns and seven eyes, which are the seven Spirits of God sent out into all the earth. Then He came and took the scroll out of the right hand of Him who sat on the throne. 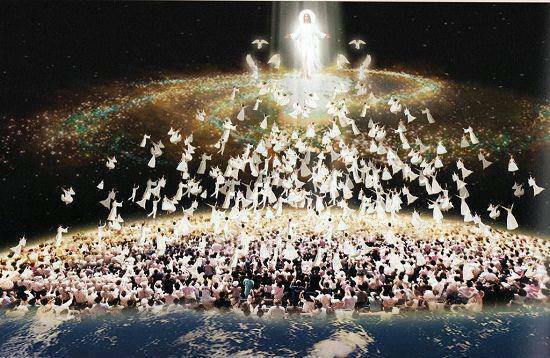 Out of every tribe and tongue and people and nation'" (Revelation 5:6-9). God's judgment is in the scroll, and it is sealed up-sealed up tight. These are no ordinary seals; each one when broken has irreversible actions that will be set in motion associated with them. John observes that the scroll has seven seals. Jesus opens the seals, beginning with the first one; thus, God's judgment begins with the four horses and their riders. "Now I saw when the Lamb opened one of the seals; and I heard one of the four living creatures saying with a voice like thunder, 'Come and see.' And I looked, and behold, a white horse. He who sat on it had a bow; and a crown was given to him, and he went out conquering and to conquer" (Revelation 6:1-2). I've heard people ask if this was Jesus on the white horse. This is not Jesus; this is the Antichrist. But he will fool many into thinking that he is Jesus Christ. (Notice that Jesus, the Lamb, is the one who is opening the seals of the scroll.) He (the Antichrist) is given a crown, symbolic of his newly acquired rulership or authority; and now he is going out to conquer. God gives him this authority. "He shall speak pompous words against the Most High, shall persecute the saints of the Most High, And shall intend to change times and law. Then the saints shall be given into his hand for a time and times and half a time" (Daniel 7:25). "When He opened the second seal, I heard the second living creature saying, 'Come and see.' Another horse, fiery red, went out. And it was granted to the one who sat on it to take peace from the earth, and that people should kill one another; and there was given to him a great sword" (Revelation 6:3-4). Peace will be removed by this horseman; and with it comes war, violence and killing. This horse is red - symbolic of worldwide bloodshed - and his sword is great, which means many will die. "When He opened the third seal, I heard the third living creature say, 'Come and see.' So I looked, and behold, a black horse, and he who sat on it had a pair of scales in his hand. And I heard a voice in the midst of the four living creatures saying, 'A quart of wheat for a denarius, and three quarts of barley for a denarius; and do not harm the oil and the wine'" (Revelation 6:5-6). This horse follows the war horse-and running rampant with war is shortage of food and supplies. There will be such great famine and want that a loaf or two of wheat bread will cost a full day's wage. Hyperinflation will be felt worldwide. I think the oil and wine warning is there, as it is a mainstay for living in just about every country and diet, even amongst the poorest populations. In this judgment, it could be that mercy is extended so that oil and wine are spared. "When He opened the fourth seal, I heard the voice of the fourth living creature saying, 'Come and see.' So I looked, and behold, a pale horse. And the name of him who sat on it was Death, and Hades followed with him. And power was given to them over a fourth of the earth, to kill with sword, with hunger, with death, and by the beasts of the earth" (Revelation 6:7-8). This is massive worldwide destruction. 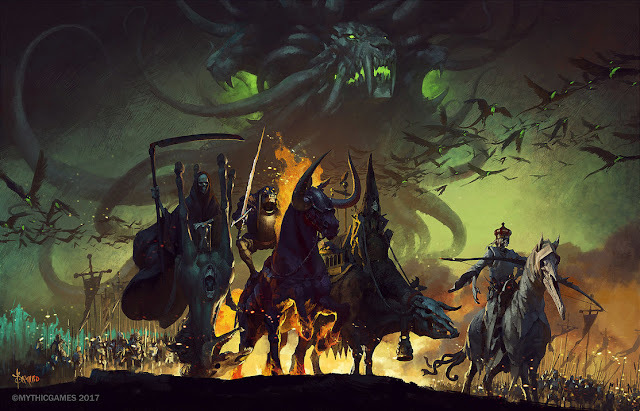 I site this horseman in my article, "The End Times Landscape." Approximately 1.875 billion people die at the release of this horse if it were to happen right now. This seems to me to be the most devastating of all the horsemen. It's about one last chance to believe in Jesus Christ. One last chance for the person who maybe even warmed a church pew or two in their lifetime, but was never really motivated to need a Savior. But now here they are, living in hell on earth during the tribulation. This person knew a few real Christians, and they have all of a sudden gone missing-millions of them at the same time! This is your last chance; you need the Savior now! One last chance for the person who finds themselves living during this time - and they are not going to miss Jesus Christ again - no matter what. They read the left-behind letter! They are reading the Bible and meeting with other tribulation saints trying to survive without having taken the mark of the beast. They are so thankful we left extra food in the pantry. I hope you like black beans and brown rice if you're at my house. My husband and I have prayed for you! The book of Revelation is a kindness. It lets you know what is coming if you choose to reject God's only begotten Son as Savior and Lord. It is foretelling of a time when God will carry out His divine judgment and display these things in full living color-giving the earth a woodshed experience, as if He were to ask them "are you sure you want to reject my only begotten Son?" "And they said to the mountains and rocks, 'Fall on us and hide us from the face of Him who sits on the throne and from the wrath of the Lamb! For the great day of His wrath has come, and who is able to stand?'" (Revelation 6:16). I will start with the witness of our Lord and Savior's apostle to the Gentiles and taught personally by revelation of Jesus Christ glorified. I had been reading in 1st and 2nd Thessalonians this last weekend, and was just so swept away with Paul's testimony towards this Church that he founded in the name of Jesus. There is much controversy about what Paul was speaking of and it's timing. I will in this sermon address those controversies of factions of the religious community that read, what I feel, is not what Jesus, or Paul, John or Daniel was speaking of when it comes to these last days and the appearing of our Lord and Savior Jesus Christ. I get every now and then nay sayers to the concept of the church being removed out of the way and relying on works of the Torah, or relying on sacred names, which are works that cannot save us. Or they miss the plain word that this world will be receiving God's Divine Wrath upon a sinful world that is in full rebellion to His Holy Ways . The only substitution for redemption of the breaking of God's Commandments, is in the blood sacrifice of His Only Son, Jesus Christ, which they reject. Let us first go to 1st Thessalonians and read what Paul instructed this early church on what was coming, and was not only for their ears, but was written down for our admonition in these last days. Paul is writing to the church members and Revelation had not even been written yet by John as they are about 30 years apart. Paul speaks of wrath? What wrath from Who? Wrath from Almighty God is his reference point. 4 "The LORD hath sworn, and will not repent, Thou art a priest for ever after the order of Melchizedek. 26 "Whose voice then shook the earth: but now he hath promised, saying, Yet once more I shake not the earth only, but also heaven. 13 "And the stars of heaven fell unto the earth, even as a fig tree casteth her untimely figs, when she is shaken of a mighty wind. Understand one thing my reader, the coming time of tribulation is divine judgment on a world devoid of love for one another, and committing untold sinful acts in complete rebellion to God's Law and authority, and who have whole-hardheartedly rejected the Gospel of Jesus Christ as the only payment for their sinful condition. Do we not understand that God will destroy up to 4/5 of all mankind in horrific environmental catastrophes and what only be assigned extraordinary Divine occurrences not known to man in modern times and can only be attributed to Almighty God? Let us guesstimate the carnage that will be inflicted on this world, if all of us were still on this planet and none of us were removed. Right now we are approaching or have eclipsed the 7 billion mark of humanity on this planet. If we somehow envision the destruction of 4/5 of all mankind, that would be 5.6 billion people dying a horrible death leaving a little more than 1 billion people left. God warned that He will punish the inhabitants of the earth. Oh, I hear the naysayers who say that the last trump in the opening verses are the same trump that the 7th angel blows in Revelation, but fail to understand that Paul was speaking of a last trump associated with the Feast of Trumpets. For a detailed summary of my position on this gross error by some churches today, go to my blog and read “Confusion over End-time Events”. In it the conflict over these trumpets will be explained as they are not the same, but are two separate events with 30 years between passages. How much more clear can Paul say it? Do you think that the coming of the Lord when He comes to rule on this planet for 1000 years will be proceeded in secret? Do you think He will come when they expect it not? Paul talks of sudden destruction, as woman in child labor will not escape the pain or the delivery of the baby. What fits this scenario, a sudden, without warning snatching away of children of light, to the horror of the children of darkness...OR would it be more plausible for them to be going about business as usual in the very run-up to the Glorious Appearing of Jesus Christ in the clouds of glory with great power (probably proceeded by a great appearance of fire and light, I hypothesize). With almost 6 billion people being consumed, dead bodies all around, animals eating the corpses of those slain, and the carnage of divine retribution in 7 short years, with the majority in the last half of this time period. Would it be business as usual? Let us examine the signs of His final appearing, shall we? Will it be business as usual? I think you know the answer! 6 " And the seven angels which had the seven trumpets prepared themselves to sound. 12 "And the fourth angel sounded, and the third part of the sun was smitten, and the third part of the moon, and the third part of the stars; so as the third part of them was darkened, and the day shone not for a third part of it, and the night likewise." 1"And the fifth angel sounded, and I saw a star fall from heaven unto the earth: and to him was given the key of the bottomless pit. 15 And the four angels were loosed, which were prepared for an hour, and a day, and a month, and a year, for to slay the third part of men." Then to the end of the chapter 9, descriptions of a most detailed description of what will befall rebellious mankind. Until, the seventh angel sounds his trumpet to unleash the final assault upon earth to turn them to repentance, but God knows that they will not. Sheer terror will reign supreme. Does this sound like business as usual? Naysayers, ask yourselves, does this sound like as in the time of day of Noah (Matthew 24:37), or does it sound like there is another time period prior to these events that addresses this more realistically and prophetically? Think on that a bit, as I return to Paul addressing the Thessalonians in 2nd Thessalonians. Here the church at Thessalonica was troubled, as false prophets had entered into their midst and were preaching that the “Day of the Lord” had already happened. I call them “Ancient Preterist” who believed that all things had been fulfilled, and we were just waiting for Jesus to come back, except this church at Thessalonica understood the Day of the Lord, as judgment and wrath, not a sign of joy. Paul re-teaches them what he had already told them concerning the coming “Day of the Lord”. 4 "Who opposeth and exalteth himself above all that is called God, or that is worshipped; so that he as God sitteth in the temple of God, shewing himself that he is God. No where in history after this time period has a man stood in the temple and claimed to be a god. Only once in the history of the nation of Israel had a man stood in the temple and claimed to be a god, and it was many centuries before this verse was penned by Paul. What he is telling us, is that prophecy has duality, or will repeat itself in our time, and remember, these verses were written for us in modern end times, not just of the church Paul and John wrote them to. Who was that man who stood in the temple and a fore runner of the modern Abomination who causeth Desolation, as Jesus spoke of in Matthew 24:15? His name was Antiochus Epiphanies, and he made a statue of Zeus, with his face and put it in the Holy of Holys in the Temple of Jerusalem and proclaimed all must worship it on pain of death. He also sacrificed pigs on the altars of God, which were considered unclean. So this man defiled the temple that led to the Maccabean War and the observance of Hanukkah, or cleansing of the temple. As Jesus prophesied, and as John and Paul revealed, it will happen again. 7: for the secret power of lawlessness is already at work: but the ONE who now holds it back will continue to do so till HE is taken out of the way.” (emphasis mine). For me, this is a strong argument that the church has been removed out of the way, BEFORE the man of perdition, whose name equals 666, is revealed and stands in the temple of God, claiming to be God. God the Holy Spirit dwells each individual that belongs to Him and if the Holy Spirit is being withdrawn, then those He indwells will be leaving as well. Note that Jesus said that He would never leave us or forsake us, Hebrews 13:5, Matthew 28:20,hence He sent His Holy Spirit, as counselor, comforter, and guider of our walk with our Lord and Savior. If God's Holy Spirit is removed, based on the clear Word of our Lord, who cannot lie, we will be removed as well. “The most abused verse on the subject of the end times is Daniel 9:27, and it is a linchpin in the Pre-tribulation Rapture theory: 'Then he shall confirm a covenant with many for one week; but in the middle of the week He shall bring an end to sacrifice and offering. 'Unlike the Protestants, we believe that "he" in this verse refers to Messiah, not Antichrist, for the main subject of this section is Messiah. Richard Ritenbaugh, Prophecy Watch." "In Isaiah 28:15, we protestants and "a covenant with death," say that the Antichrist makes a peace treaty for one week—seven years—with the Jews. But this makes no sense! Why would the Beast "destroy the city [Jerusalem] and the sanctuary" (Daniel 9:26), and "then . . . confirm a covenant . . . for one week"
In this analogy, they deny the clear implication of Daniel's 70 week prophecy that was interrupted when Messiah was cut off in year 483 of the prophecy. That leaves the last 7 years that must be completed for Israel to be saved and receive their Messiah. 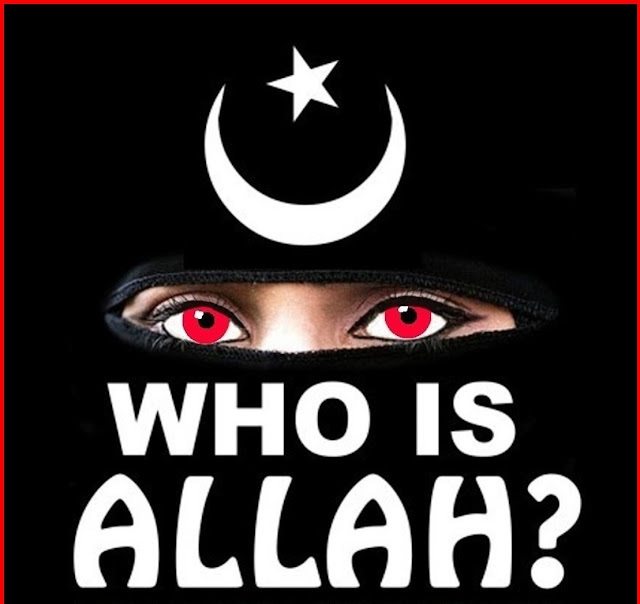 Obviously, they don't understand the time-line of history, or duality of prophecy. I think anyone, including this afore mentioned minister, is blinded by their ideology of a failed organization that proposed that the second return of Jesus Christ would be in 1972, hence many members of this denomination sold all they had, took no social security, or started living in caves. I recall the cry of “flee in 73” as their mantra. Did it happen? No, much like Harold Camping's failed prophecy, false prophets are all within the camp of the religious and doomed to their predictions of when or how Jesus will return. Now is Mr. Ritenbaugh a false prophet? I am not singling him out, but it is a mindset of many post tribbers that this promise of our Lord and Savior Jesus Christ is suspect and that we all are all full of hogwash is rampant in this denomination and others just to be fair. Others in this camp, propose that when Jesus comes in the clouds of heaven to receive His church, that we will be changed. Yes, but then they propose that we turn right around or make a sharp U-turn and come right back down to do battle with the enemies of God. They site Zechariah chapter 14, when Jesus' feet touch the Mount of Olives. I asked one minister I know, “are we going up to just saddle up?” coming with Jesus on horses, dressed in linen, white and clean as Revelation chapter 19 shows? He had no answer. And what about the Marriage Supper of the Lamb? He proposed it was poetic or an allegory....say what? This same minister pooh-poohs the Jewish wedding feast. Needless to say, we are not in agreement. Since God said he would deal with the Jews as a NATION for SEVENTY "WEEKS" and He promised to regather them nationally in the future in preparation for His Coming, then, God plans to deal with the NATION Israel in the future for ONE "WEEK" before He returns. To say that ONE WEEK of Daniel 9:27 has already happened (since God says He will regather Israel as a NATION) is to say there will be 71 WEEKS. To say that the week WILL NOT happen in the future is to say there are less than SEVENTY "WEEKS." Our Father and our Lord and Savior will purify Israel as silver is refined in the fire. Note that if you are still here, then God will send you a strong delusion, A LIE, that you will believe because you want to. Your mind will have no protection, as the Holy Spirit is GONE, VANISHED, right along with His Church. Satan will have full sway, full unimpeded powers to deceive the human mind. Each of those left will embrace the false god of this world, known as the Anti-Christ, no matter what another religion might feed you. So as a watchman on the wall, I have given you witness of four of the major figures in your bible, John, Paul, Daniel, and the Master, Jesus our Messiah. I report, you decide. Understand, that I am not preaching to scare you, but to warn you. There is coming a day when salvation will be mostly for the Jewish people, as the Church Age has suddenly ended for you, and you have been caught flat footed. You were not ready, and Jesus has come, as He said He would. Won't you make yourself ready. Wanna know how? 16 'For God so loved the world, that he gave his only begotten Son, that whosoever believeth in him should not perish, but have everlasting life. Email me after reading John 3:16 then all of the Gospel of John, just who this man Jesus was, and IS....the great I AM, that I AM...Jehovah God. Repent for today is the day of salvation. WHY SHOULD WE STUDY THE TRIBULATION?